I make my Colloidal Platinum from .999 pure Platinum, distilled water (that has been harmonically restructured using a Tesla Purple Plate), and trace amounts of Dead Sea Salt through the process of electrolysis. I also vibrate all my products to the frequency of 528hz using a piezoelectric transducer and charge them with aetheric energy like my Lightening water. This metal is the closest match to Electrum the metal of the Ancient Rods. Charges Yin energy. Scarcity is very high even in the precious metal and say platinum, there is more valuable than gold. It is enough to be called “white gold”. I think wearing in the recognition that something of value as a precious metal like gold and silver is a little, but has the effect and meaning as Gemstone also platinum. To enhance the intuition of the owner, it gives us the insight and calm judgment. It is a good idea to take platinum when in a lot of information are mixed, troubled Which whether the information better for me, or whether a road to be selected. This is made from 10ppm Colloidal Platinum as a base. Then I preformed the John Hudson method by adding Organic Dolomite and swinging the PH. 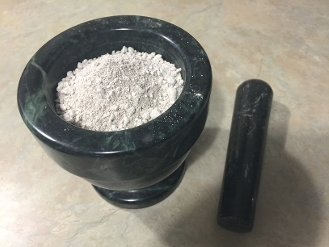 Then after washing it 7 times and drying it out, it is now a fine white Ormus powder that is extrememly high in Platinum.